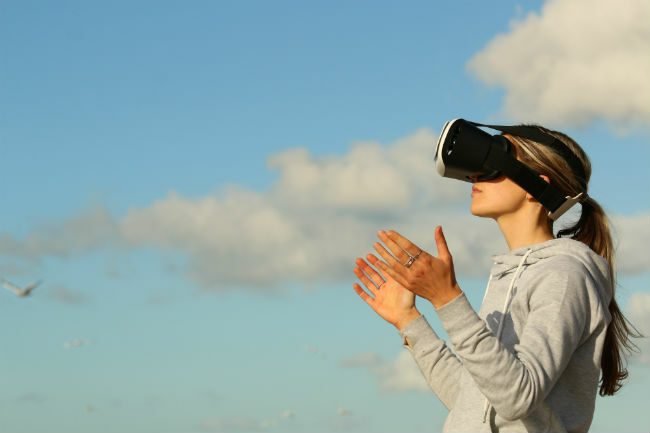 So, if you’re one of the many dental professionals out out there interested in learning more about the significance of augmented and virtual reality in practice, then this article is the perfect source. In this post we will briefly discuss the key differences between augmented reality (AR) and virtual reality (VR) — two of the hottest trends in dentistry. We’re also going to discuss how these new technologies are currently being used in dentistry today, and their projected impact on the dental industry in the future. Virtual reality we find, when contrasted with augmented reality, to provide much more of an immersive in terms of experience. This is due to the fact that the technology requires a large headpiece which covers the eyes and thus “inserts” the user into their own virtual world where they can interact and engage as they please with their new surroundings. For example, with virtual reality, you can swim with dolphins or immerse yourself or your patients in a visually vivid tutorial, learning experience or just some plain old fashioned video game. 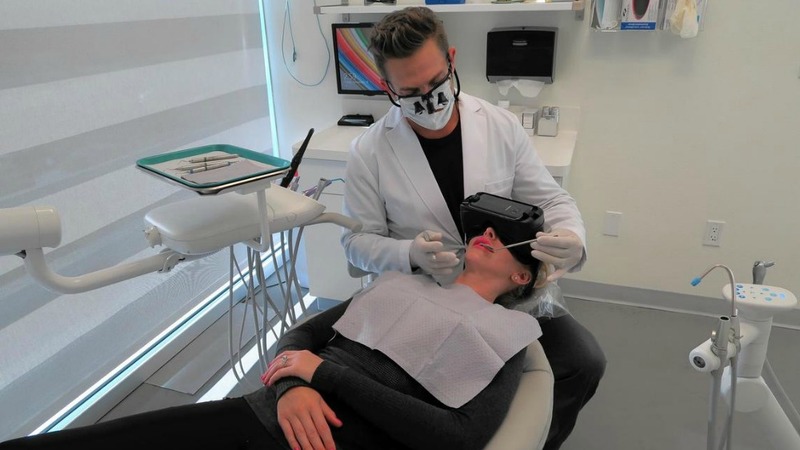 In fact, when it comes to the application of virtual reality in the dental industry, the benefits can be seen primarily in the enhancement of the patient experience. For example, many practices have already taken on the use of virtual reality for helping to ease patient anxieties. The immersive nature of this technology has been scientifically vetted to help promote relaxation with the use of calming, immersive visual sceneries. The Journal of Cyberpsychology, Behavior and Social Networking completed a study which showed virtual reality technology helps minimize pain by reducing the perception of pain. This is because when immersed in an interactive experience, patients are distracted from the procedure. Additionally, using headphones in conjunction with virtual reality technology can provide an extremely positive experience for dental patients who struggle with chronic anxiety. As you can see, there are already many tactics are currently being used to help enhance the patient experience with this amazing technology. However, the future holds even more limitless opportunities for personalization. Imagine your patient now having the opportunity to chat with their friends on their favorite social network, play cards with their siblings while sitting in a dental chair, or link their very own Netflix account? Furthermore, there is a trending interest in using guided meditation with virtual reality to even further promote relaxing experiences within an environment where all too many patients often struggle with anxiety. For instance, your patients could listen to their favorite meditation guru on their relaxation playlist on their very own Youtube account. The ability to connect to personalized services would provide a huge benefit for the enhancement of the patient experience. Augmented reality differs from virtual reality primarily in the sense that it offers virtual information in addition to the environment that you are surrounded in. With AR, the user has a greater degree of freedom and does not require any large bulky pieces of equipment. For example, with virtual reality, you can swim with dolphins, but with augmented reality, you can watch a dolphin jump out of your business card. In virtual reality you immerse yourself in a scenario where a teacher explains complex procedures, but with augmented reality, you can practice procedures yourself in the comfort of your office chair with no pressure. Augmented reality and its impact in the field of dentistry is primarily concentrated within the surgery realm. Dentists can practice carrying out complex procedures or check patient vital signs with a convenient pop-up screen at the push of a button. It has also become a very beneficial tool for dentists, especially with regards to continuing education and further training. This is because it offers visual data which can be extremely useful in terms of processing and retaining information more efficiently. AR also serves a useful purpose when it comes to enhancing the patient experience. Generally speaking, when it comes to consultations, a patient is given a treatment plan, and a cast is taken of the mouth which is then sent to a dental lab, at which point custom replications are made and shipped back to the office for review. 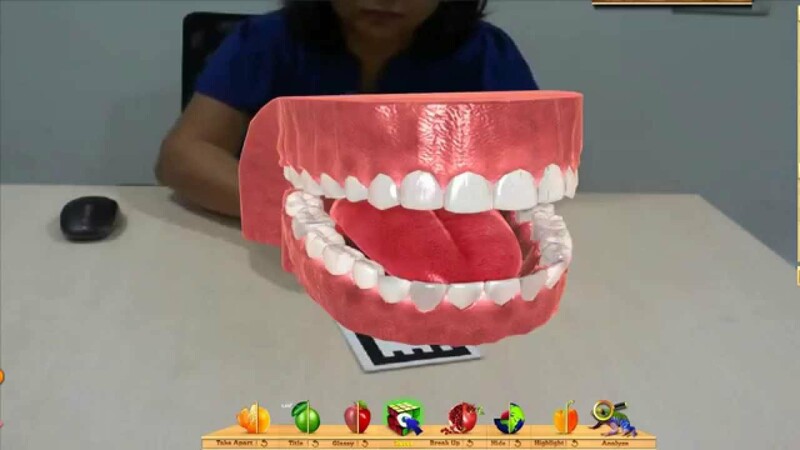 With augmented reality, you have the ability to give the patient an immediate visual representation of completed treatments that have been proposed during the consult (orthodontics, crown and bridgework, implants, etc. thus augmenting the patient’s expectations significantly. The future applications of these technologies are practically limitless. 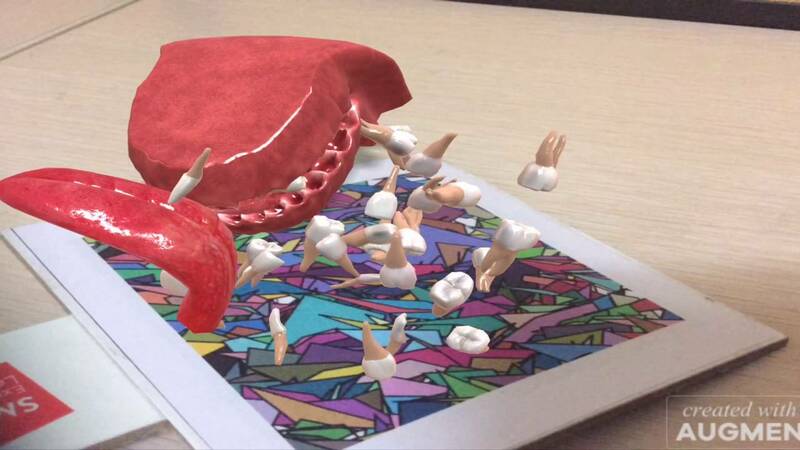 Imagine a world in which practitioners are able to take virtual scans of patients mouths, or in which patients are able to take scans of their own mouths and have custom-built pieces made for them. They would only have to pop in for a fit for small procedures. Helping to alleviate the length of appointments or repeat visits can only improve the patient experience. It would also promote lower fatigue rates among practitioners – unless they decide to use this downtime to increase patient volume, of course. Other potential uses include the overlay of information during dental procedures. Imagine if you could monitor a wider array of patient information and metrics with the touch of a button on your dental instruments or absorb information more rapidly with an AR CE course that offers convenient animated visuals along with the lecture. This could benefit both practitioners and patients of any age. The possibilities are endless. 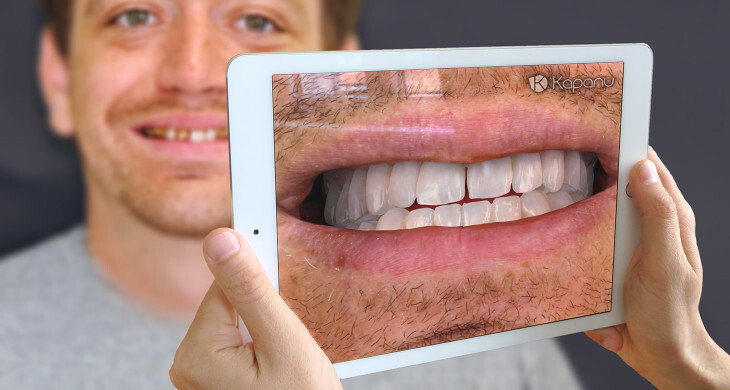 From dental training, surgery and custom orthotics, augmented reality is reshaping the very industry that built itself on reshaping our mouths, while virtual reality is making waves with patients by helping to ease anxieties and increase comfort. Together, these two technologies can work together to help increase efficiency, lower costs and enhance the patient experience in ways that we still cannot fully imagine. While we can’t say we’re certain on the prospect of what the future will hold, we can definitely say we’re excited.